Good morning everyone from sunny Brora and it’s goodbye for now as we set off for the furthest point from Lands End – John o’ Groats and then on to Dunnet Bay for our next stop. OK the end of another great day. 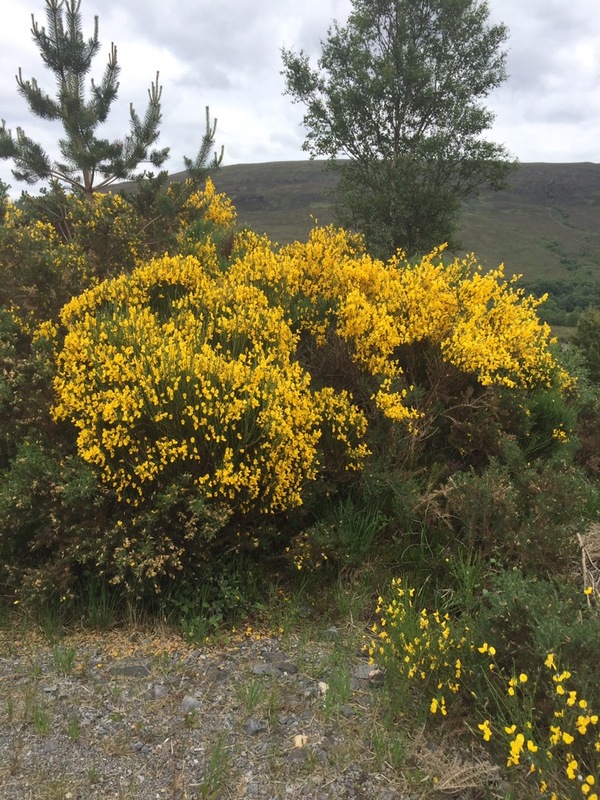 The journey up the east coast to John o’ Groats is stunning – by all accounts according to the people we have met the west coast is even better, but I’ll wait until we get there – and have I mentioned the Scots love a bit of yellow flowering gorse. A:- For those in the USA reading this I’m sure I saw Ivanka Trump hiding in some just outside of Wick. 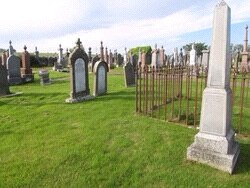 The other thing the Scots appear to love in this part of the world – or at least their ancestors did – is a bloody big and imposing headstone. As we travelled we passed through the coastal town of Wick and saw a sign to Cromaty it immediately brought to mind the shipping forecast that is broadcast on BBC Radio 4 each day without fail. If I was stranded on a Desert Island as in Desert Island Discs I’d want it as one of my recordings to remind me not only of Home but also the English Language. 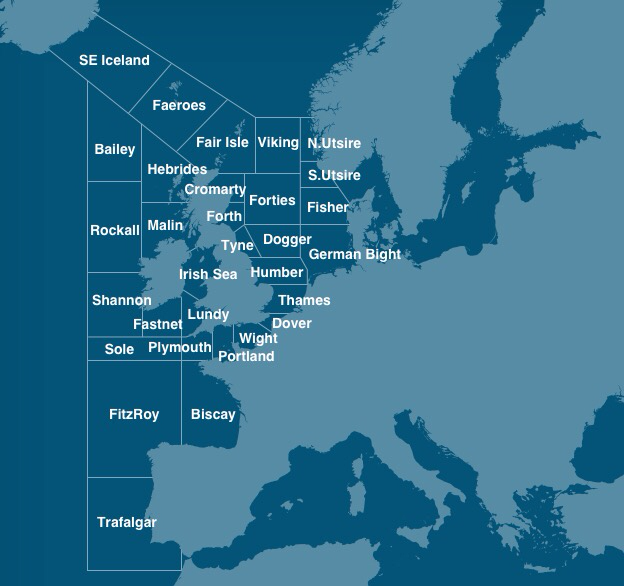 Those who live in the UK and are of a certain age will understand – never mind World Wars the shipping forecast will go out and not only that it will go out bang on time. Anyway two hours after setting off we arrived in John o’ Groats into a full car park. Having said that and – yes there is a Tourist Information Centre and a number of gift shops and cafes selling all things “quaintly” or “faintly” Scottish in origin or related – it didn’t seem overcrowded but perhaps that will change as the summer progresses. Now I’m not usually one for doing the touristy things but of course I posed with Liz at the John o’ Groats sign. And yes we bought some Scottish shortbread and various other things that I’m not allowed to mention because they are gifts for people when we get home. Here’s something – yes something else – I found out today. I always thought the ‘Old Man of Hoy’ was the whole island of Hoy itself when in fact it isn’t. 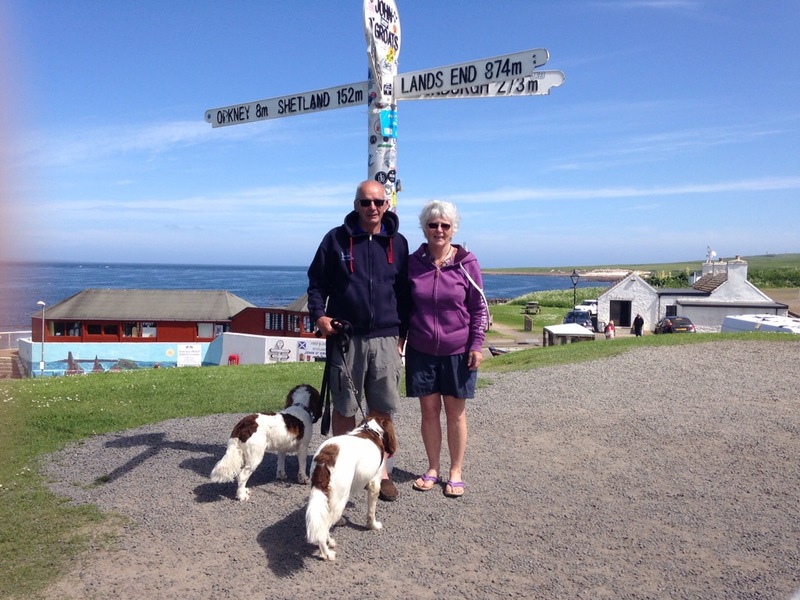 After an ice cream – it doesn’t matter if it is sub-zero temperatures Liz insists when on holiday we have an ice cream everywhere we go – it was goodbye to John o’ Groats and on to Dunnet Bay which is eight miles from Thurso. Well we have now arrived in Dunnet Bay which is absolutely stunning. A:- Interesting fact Dunnet Head which is five miles away is the most northern point on the mainland of Britain. The dogs love the beach and especially the sand dunes. By the way I thought it was supposed to be miserable weather in the far north! All we have experienced so far is sunshine – OK – it is a bit nippy in the wind but what the hell. Well seeing as how we are in whisky land it is time for a small libation of the golden stuff this evening which means it’s time to stop this nonsense. I’m just pleased that Liz got her icecream.